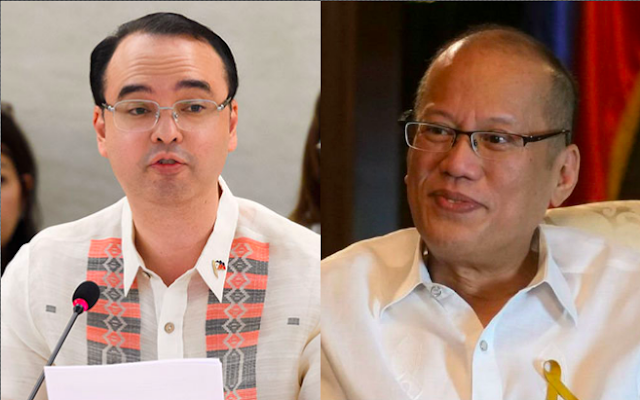 Secretary of Foreign Affairs of the Philippines, Alan Peter Cayetano wrote an open letter to former President Benigno “Noynoy” Aquino III regarding the West Philippine Sea issue. In an article of Rappler, Aquino says transparency was the hallmark of his administration and that he didn’t hide anything during his term about the said issue. "Transparency is the hallmark of our administration.... Wala tayong tinago, may records na kinuha din ang ating embassy sa Beijing. 'Di ko malaman saan nanggagaling na kulang 'yung transparency natin dito," Aquino told reporters during the 9th death anniversary of his mother, former president Corazon Aquino. In a Facebook post, Cayetano asked 11 questions to Aquino that was also wanted to know by many Filipinos. He said that if transparency was really important to Aquino, he should answer all his questions. 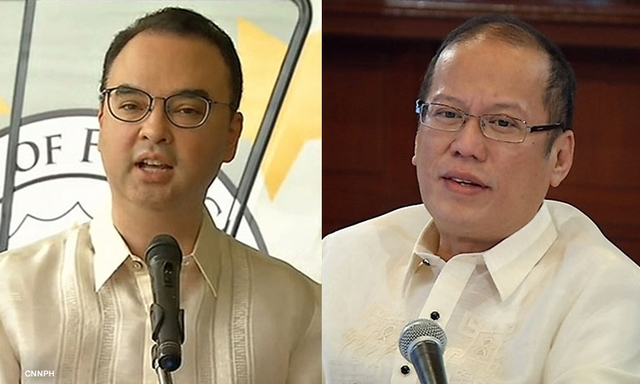 Cayetano also asked Aquino if he has “alternatives or proposals instead of merely criticizing the government”. Good Day, Sir. It's regrettable that you chose to play with words, including comparing our haircuts, in responding to an immensely important issue and addressing people's main questions about the situation at the WPS. While we both lost some of our hair, your administration lost control of Scarborough and a great opportunity to expand tourism, infrastructure and agriculture. We also lost many opportunities for cooperation in fields like science and technology, protection of the environment, among others, all because of the approach you, together with former Sec. Del Rosario and Senator Trillanes, chose to adopt and implement. Rather than debate which administration is more transparent and/or mislead people on many facets of this complicated situation, may I respectfully request that you answer the questions on people’s minds and help enrich public discussion on the issue. 1. How did we lose control of Scarborough Shoal in 2012 during your watch? 2. Who made the decision to end the stand-off by ordering Philippine ships to leave, and on who’s advice? 3. Who was in command of the situation? Was it you, or Sec. Del Rosario or Sen. Trillanes? 4. Why didn't you order the Philippine ships to return to the area when the Chinese ships did not leave as expected? 5. What exactly was Sen. Trillanes role and mandate? He made 16 trips to China as your emissary. Where are the reports and what were the agreements reached? 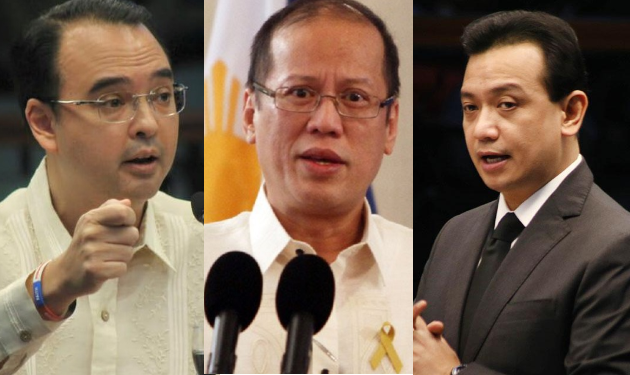 6. Who did Sen. Trillanes negotiate with in the back channel talks? Who else did you authorize for this mission? 7. Sen. Trillanes had refused to reveal the purpose and nature of his trips when asked during a senate session by then Sen. Enrile. Instead he walked out and invoked presidential prerogative so he would not be compelled to respond. Since then, nothing has been heard of his secret trips. Why? How can you say it was transparent when the Embassy report was about only on one meeting? 8. We note that there seems to be a denial all around of any negotiated joint withdrawal of both Chinese and Philippine vessels from the shoal. Was there an agreement? Brokered by who? 9. What was the US commitment on the WPS issue, if any? And how was this relayed to you or was this discussed with you directly when you sat down with President Obama at one point in time? 10. What did you discuss with President Obama? He reportedly affirmed to Japan that the mutual defense treaty will be put into action if the Senkaku islands are threatened. Did Mr. Obama tell you that the US does not get involved with territorial disputes like in the WPS? How did you respond to that? 11. What are your plans or proposals for oil and gas exploration in the WPS? Do you agree that oil and gas exploration and development will be very beneficial to all Filipinos? Our people await your response to these questions in earnest, to be fully informed finally of the background of our complicated situation. Your response will help us decide on how to proceed further in shaping our policy with China. If, indeed, transparency is a important to you as you claim, then consider your early response to these questions as crucial. Thank you, Sir. We will be awaiting your reply.